2017 was another great year for NIMA. Having completed new and bigger projects along with growing the company to 12 Carpenters we feel very grateful and are extremely appreciative to our awesome Clients ! Because of you we get to do what we love everyday and do it with a group of Carpenters who have passion doing what they do. Have a look through our 2017 Picture bank. Are you looking to build a detached garage from start to finish? 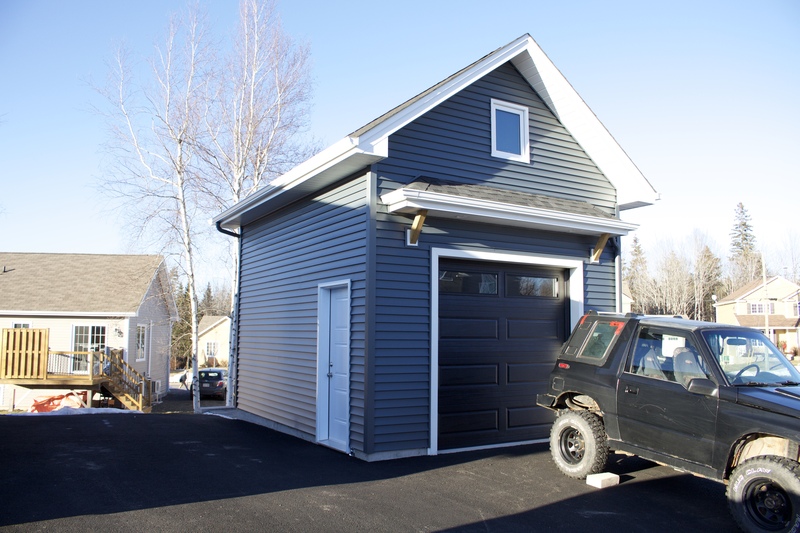 What I mean from start to finish is, from nothing to a fully operational garage with Concrete pad, Siding, Garage door, Insulation, Plywood or Drywall, Electrical, etc.. A fully operational turn key build. As you must of guesses, NIMA also does quality fine finish work. With lots of fully finished completed homes from Click flooring, Hardwood, Pre-Engineered hardwood, Stair preps, Hardwood stairs, Railings, Interior Door installations, Windows and Doors casing, Baseboard installation, etc…. NIMA did not only do New Construction Framing and renovations. NIMA is fully equipped to do complete Siding projects, New patios/outdoor living space, sun room additions, etc. Throughout 2015, there was allot of these specific types of projects. NIMA continued their work into Residential and Commercial renovations. From complete demolition to full rebuild up to completion. Have no doubt NIMA can handle your next renovation project. Small or Large, NIMA finds the way to get it done. NIMA has build over 12+ new construction homes from Single family specs, semi-detached to Large Custom homes. Most of the homes were built in and around the Greater Moncton area and Shediac area. During the last year, where all of this happened NIMA was able to squeeze in 2 new construction EMS buildings from Framing, siding to interior finishes.